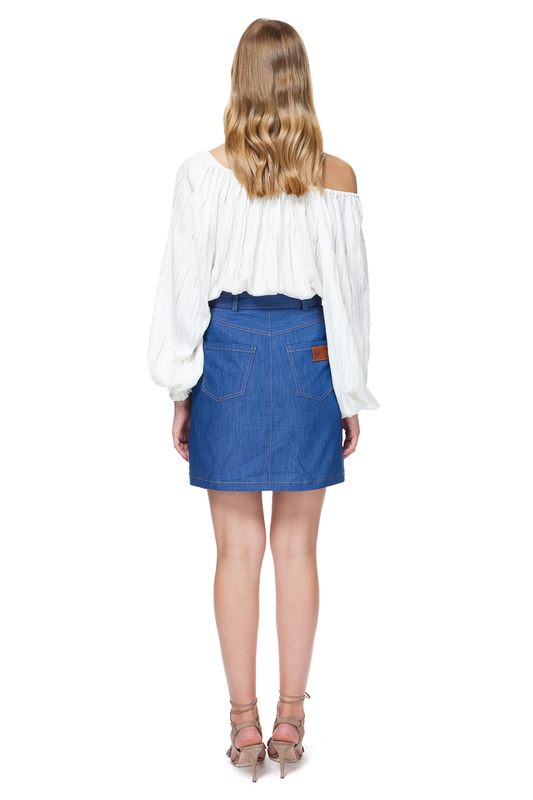 Off shoulder blouse with patch pockets. Cut for an oversized fit, this blouse has a drawstring to adjust the fit of the neckline, so you can wear it on or off the shoulder. 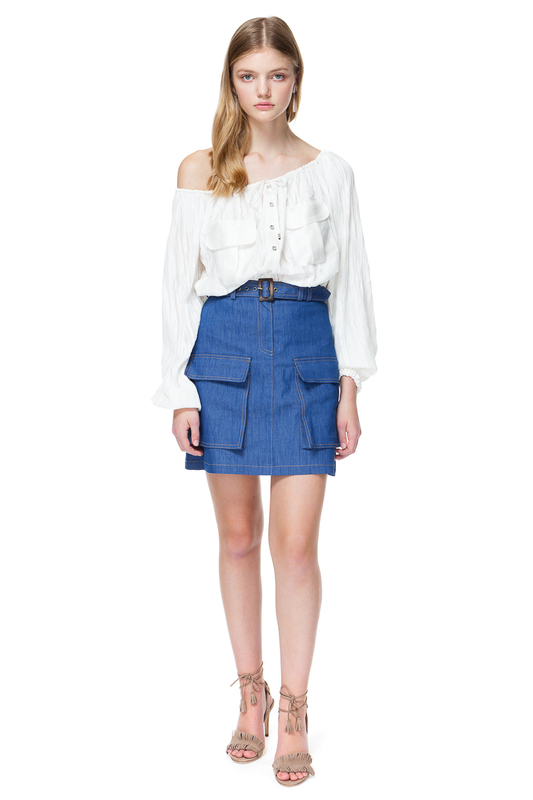 Team it with a pair of flared jeans or a mini skirt and sandals to create a chic and effortless summer look.